Our eminence of cricket in all formats have since diminished to disturbingly low levels in the contemporary decade. 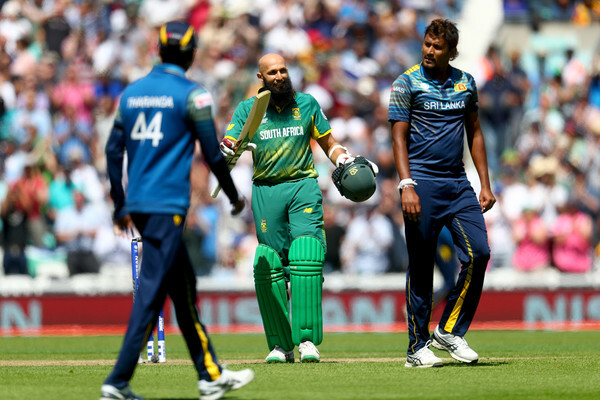 Sri Lanka was bruised and abused in the first two ODI’s in the ongoing five ODI series against the formidable Proteas. The losing streak continues in the same vein. In order to avoid a complete whitewash, the writer believes drastic changes in the composition of the playing eleven is of prime status with the ICC World Cup looming in June this year. After Sri Lanka won the plum of cricket the ICC World Cup in 1996, we became known as a country to the entire world. Since we had performed admirably both in ODI’s and Tests. Our cricketers had broken many world records in both formats. Our eminence of cricket in all formats have since diminished to disturbingly low levels in the contemporary decade. In parallel to the performances of the rest of the teams our chances are very bleak which is demonstrated beyond doubt in relativeto the ODI rankings. We may probably need to play in a qualifying round before playing in the tournament proper. However, as underdogs all ardent cricket admirers would keep fingers crossed with buoyancy for us to perform laudably to reinstate pride. This calamity of losing the first 2 ODI’s against South Africa warrants an immediate diagnosis.The composition of teams in this ODI format is vital to rebuild lost pride. Our tail is too long unable to wag. Even in NZ we were unable to bat the full quota of 50 overs and 20 overs in the shorter formats. In the 2nd ODI we could bat only for 32.2 overs while in the 1st ODI it was only 47 overs. In the 3rd ODI against NZ we lost the last four wickets without adding a single run. Hence our tail would be peanuts for any opposition. The batsmen at the top as usualwere all in a vast panic, get out playing hasty strokes. With so many supporting staff at the venue, they should be able to guide them.The lower should be trained to bat better. They succumb without much of a hostility. The selectors should include all-rounders who could bowl restricting the Proteas batsmen in scoring if this is pattern of losing is to be stopped evading a whitewash in the current series.